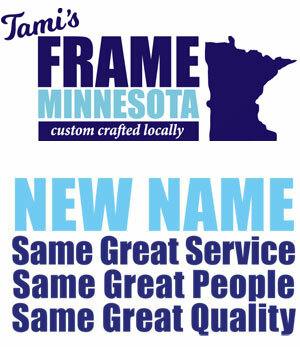 Customer Review - by Frame Minnesota, Local Frame Shop and Custom Framing Service. Faster, cheaper, and better! I’ve gotten all my framing done here. Every once in awhile I’m tempted by the local Michael’s 60% off framing coupon, and consistently, the price, even after the discount, is significantly higher than regular price for the same quality and same style framing. Don’t be fooled — 60% off an inflated “regular price” is no deal, let alone the quality and personalized care and service you get. Tami took a pile of newspaper and magazine articles and turned them into great promotional tools for my business, Superior Service Center. Also have had work done for my home and have gotten nothing but compliments. I would recommend to everyone. 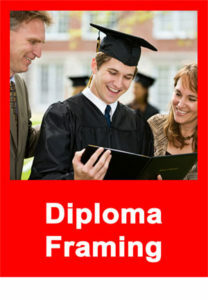 We used Tami to have our business logo framed and also worked with Tami on framing a picture memorial. 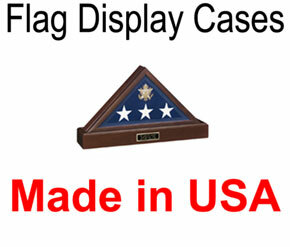 Tami was understanding of our needs and budget and took extra time to help design and ensure that the memorial piece was put together exactly how we pictured it. Both pieces Tami framed for us are hanging in our front office at our business, and we get comments on them frequently! Thank you!